Mike and Lisa have opened a new location for their kennels. They have built a facility down there so that they can have moms and dads and doodles! 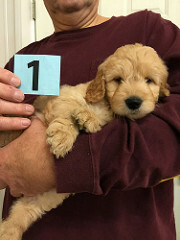 Mini Goldendoodles Are All We Do !! !